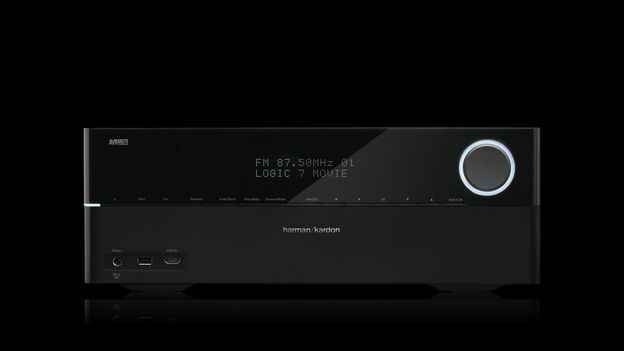 Harman Kardon has shipped two new receivers that aim to bring superb audio and video quality to home entertainment systems at affordable prices. The AVR 2700 is priced at $799.95 with features including, 7.1-channel sound at 100 watts per second, USB port, Dolby TrueHD and DTS-HD Master Audio decoding. The AVR 3700 for $999.95 comes with additional features to the 2700 with 7.2-channel sound powered at 125 watts per channel, Mutlizone functionality with Zone II remote and built-in Wi-Fi networking capability. Both systems also come with high-current, ultrawide bandwith amplifier design, Apple AirPlay and 4K video pass-through and scaling, which will be beneificial to 4K TV owners. The 2700 has built in DLNA-certified 1.5 Ethernet connectivity and Apple AirPlay, supporting iPod, iPad and iPhone. The 3700 has built in Wi-Fi meaning streaming audio and video from portable Apple devices is possibly and will work via app for Apple and Android phones and tablets. In Harman's official press release, Sachin Lawande, executive vice preseident of HARMAN says, "The Harman Kardon AVR 2700 and AVR 3700 delivers world-class sound but also provides the connectivity flexibility entertainment consumers demand today." Last month, Harman Kardon released the Go+Play Wireless, read our review here.